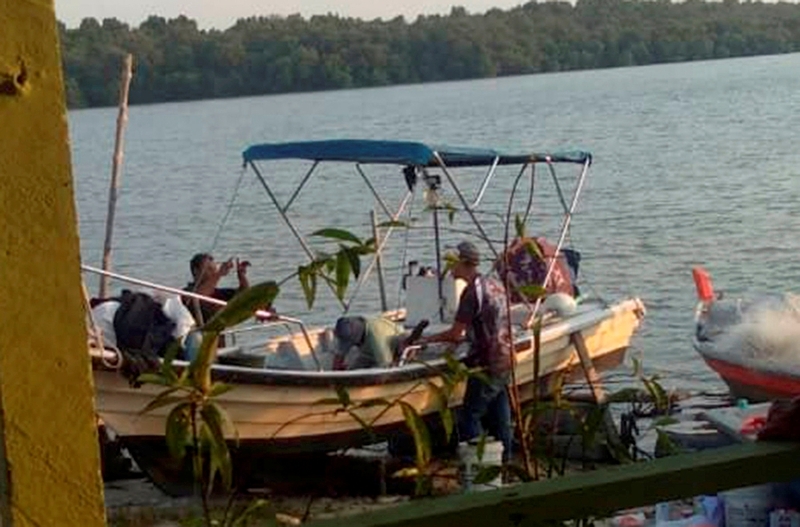 SHAH ALAM: A search and rescue operation (SAR) was initiated by the Malaysian Maritime Enforcement Agency (MMEA) for four fishermen who were reported missing off West Port in Port Klang since 11am yesterday. Two of them, Mohd Faisol Romle, 38, and Muhammad Firdaus Romle, 25, were brothers, while the other two were Mohd Amirul Adli Khairi, 25 and another person identified only as Nazaruddin. Mohammad Rosli said the agency was notified of the disappearance by the police at 9.40pm yesterday and a SAR was launched at 10.30pm. According to sources, the fishermen were supposed to arrive at the Sungai Kembong jetty, Pulau Indah, Port Klang, yesterday morning. One of them had contacted a friend via WhatsApp for help after their boat failed because of battery problem. “The friend and two others then tried to trace the fishermen at their last known location (near the white buoy), but the boat was nowhere in sight. They also could not be reached on their handphone,” said Mohammad Rosli. He added the SAR operation was conducted within a radius of five nautical miles from where the fishermen was last located.